REAPER | The blog to the comic! 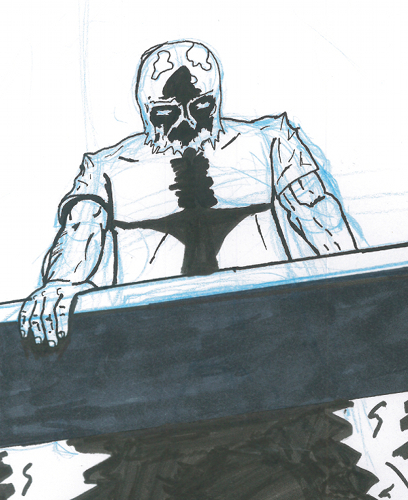 Yea take a look at one of the panels from page 03. This also shows how I work on the pages, blue pencil lines, indian ink lines and brush, and black marker for large black areas. Maybe I’ll do a bit of a special voting feature over at TopWebComics with the pages looking like this sometime in the future. So, yea it took that long to post something new in this blog . Sorry for that, now my two week long hiatus on the comic is nearing it’s end and Monday sees the first update for Issue #03. which is also the final part of Birth. And you know you can see the cover right now, right here as a “Clean” version, which means no test or stuff like that. Hope you like it! Click it for full size! 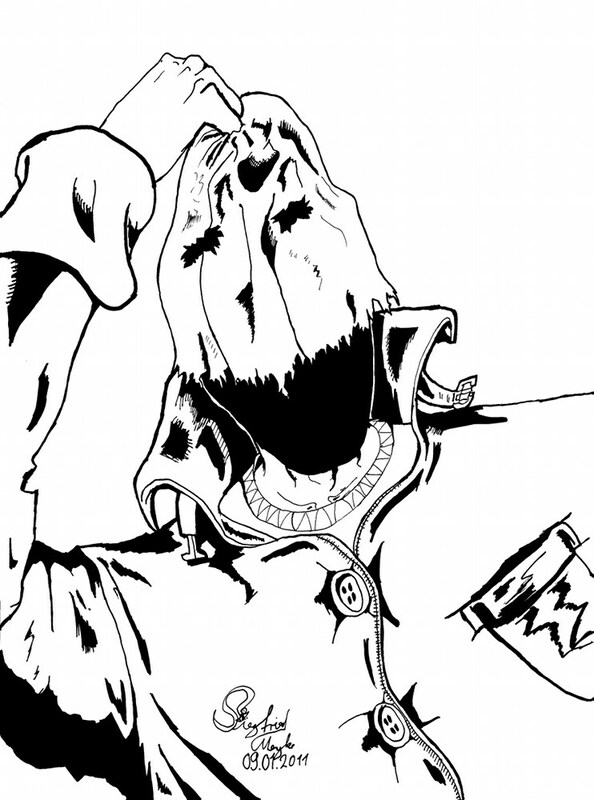 Look, it’s the inks for the cover of REAPER Issue # 02! As you might guess from the image, this issue is going to reveal Jerry’s face, and a few other things about him. I can’t really include the blog into my site the way I wanted to, so I’ll keep this thing separate. I’m working on some content right now, just playing about with the functions to get used to all of this. 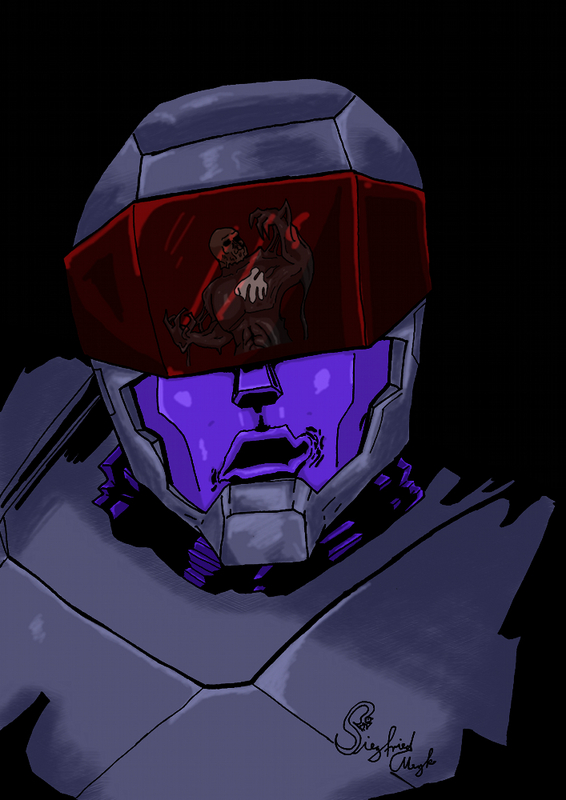 OK, this is going to be a blog about my webcomic REAPER. I’m currently trying to figure out how I can integrate the blog into my site and if I can’t I’ll just leave it as is and keep it separate. But it’s going to take just a little bit till I have any real content on here, so check back later!